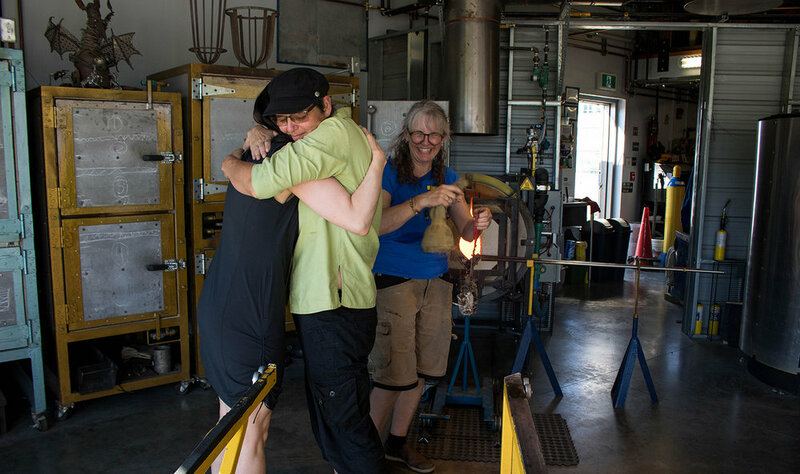 Lumel Studios, the first glass-blowing facility in the Yukon, opens its doors early on a bright Wednesday morning. Inside, staff prepare for a day of creativity and workshops, but one is already underway. 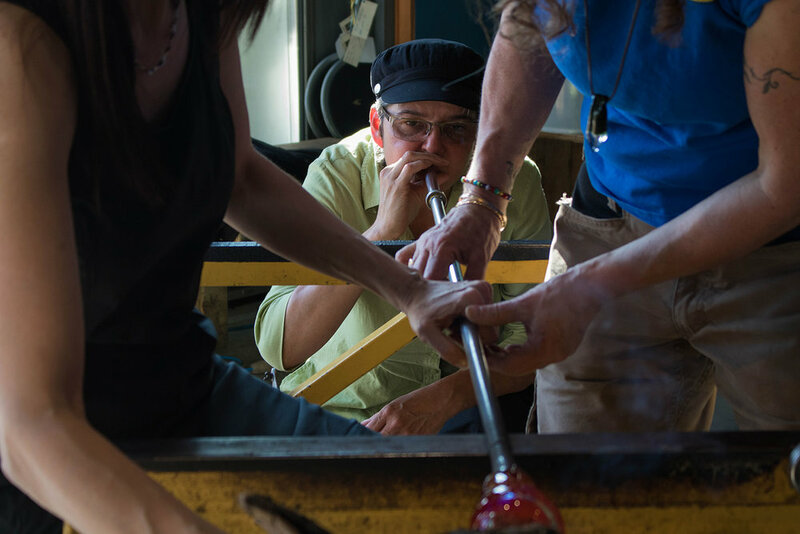 Studio owner Luann Baker-Johnson explains how tong-like tools called jacks will be used to shape a bubble of molten glass into a drinking glass. Jeanie Dendys, Yukon’s tourism and culture minister, and her sister, Rose Smith, are the recipients of the day’s first lesson. Dendys says it’s something she has wanted to try ever since Lumel opened in 2016. Dendys (left) and Smith (centre) start working on the glass. Dendys uses a stack of newspapers soaked in water to shape the bubble while Smith begins to blow into the pipe. Smith continues to slowly expand the bubble. Dendys and Baker-Johnson roll it back and forth to keep the bulb of molten glass in constant motion. Because of its sensitivity to cooler temperatures, Baker-Johnson quickly moves the bubble between the workbench and furnace, which is set at more than 1,000 degrees Celsius. A process known as paddling begins, where a blackened paddle is used to flatten the bottom of the piece. One wrong angle, and the glass could end up with an off-kilter base or rim. 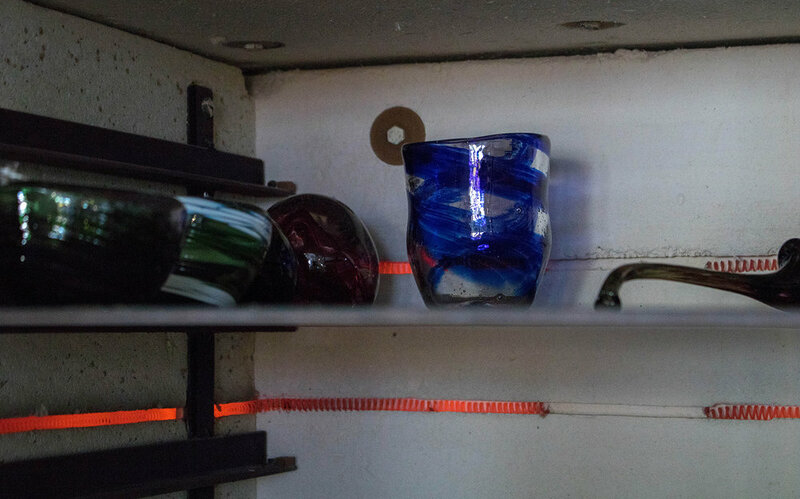 After breaking the finished glass off the pipe, Baker-Johnson places it on the top shelf of an annealer, an oven that will slowly bring the piece down to room temperature. The annealer is set at 515°C, which is considered cold by glass-blowing standards. The finished glass rests in the annealer alongside the bowls and paperweights Dendys and Smith made earlier in their lesson. The pieces will remain there for at least a day before they can be taken home.